For the past 20 years, Chang-En Yu, PhD, has investigated the mechanisms by which genetic variations can lead to aging and neurodegeneration, and how such knowledge can be applied to treat human disease. He has a broad background in the molecular biology and genetics, and his research strength is in the molecular genetic analysis of aging-associated neurodegenerative disorders. 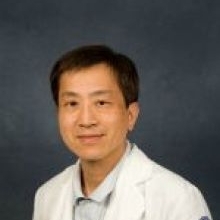 Dr. Yu’s early human disease–related research and publications focused on Werner’s syndrome, a rare autosomal dominant disease that has been studied extensively as a model of accelerated aging. Using linkage analysis and a positional cloning approach, he was able to locate and identify the gene responsible for Werner’s syndrome. This was one of the first discoveries of a gene with a direct impact on human aging, and it opened up a new avenue in the genetic and biological study of human aging. Dr. Yu has continued genetic study of multiple neurodisorders, including frontotemporal lobar degeneration, amyotrophic lateral sclerosis (ALS), Guam dementia, Parkinson’s disease, schizophrenia, autism, and traumatic brain injury. His research team was one of the first groups to report mutations in the TARDBP gene that causes familial ALS. His study of Guam dementia led to the identification of a new susceptibility locus for this disorder around the MAPT and IMP5 genes. Additionally, he has identified genomic copy number variations in autism. Dr. Yu also has a longstanding research interest and track record in the genetic study of Alzheimer’s disease (AD). His studies have made important contributions to the identification of APOE, PSEN1, and PSEN2 as susceptibility genes for AD, and he is actively conducting both genetic and epigenetic research of late-onset AD. Recently, Dr. Yu’s laboratory identified a novel epigenetic component of the APOE gene, which could contribute to the AD risk. Results from that study have been published, and the follow-up studies have shaped the objectives of his current research. This line of research has great potential to improve understanding of the association between the APOE locus and AD risk. Deciphering the mechanisms that drive epigenetic regulation and modification in APOE may shed light on potential interventions for AD and other aging associated neurodegenerative disorders.